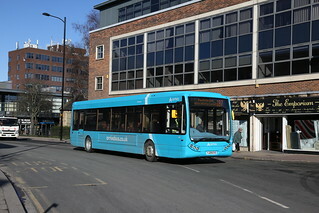 Following the arrival of the cascaded VDL SB200/Wright Pulsar 2 vehicles from Darlington to operate service 23 (Sunderland - Hartlepool), this vehicle has transferred from Belmont Depot to Jesmond. 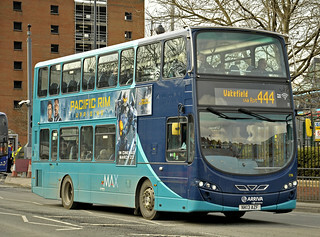 Stripped of sub-branding associated with "MAX" service 308, this vehicle has now entered service at Arriva Yorkshire's Wakefield Depot. 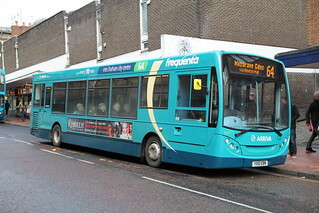 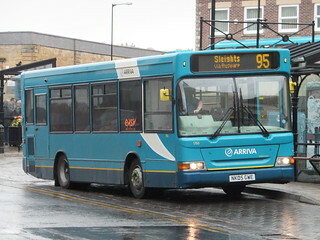 Due to poor mechanical condition and lacklustre reliability; this vehicle has been returned to Arriva Yorkshire, where it retains the same fleet number. 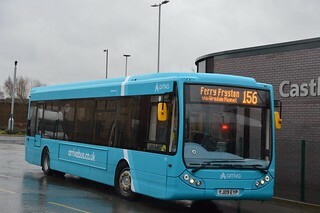 It was internally refurbished with e-leather seating and repainted into the new Arriva fleet livery, whilst at Thornton Brothers, Ashington. 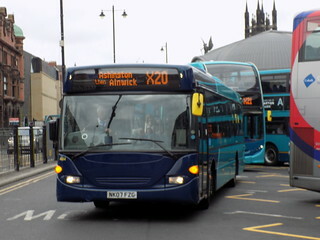 This vehicle has transferred from Belmont Depot to Whitby. 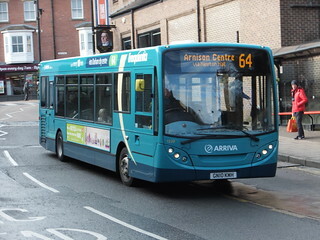 Due to a reduction in the number of engineering spare vehicles at Jesmond, and an increase in the PVR of the seasonal X18 service, this vehicle has transferred from Jesmond Depot to Ashington.